This article was first published on June 25, 2013. 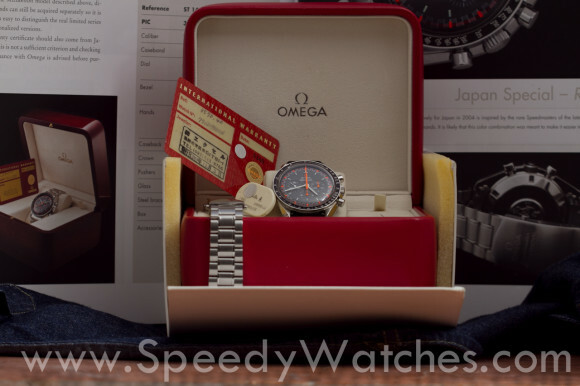 Omega surprised both friend and foe when they presented their latest limited edition (1972 pieces) Speedmaster Professional at the 2012 BaselWorld show. 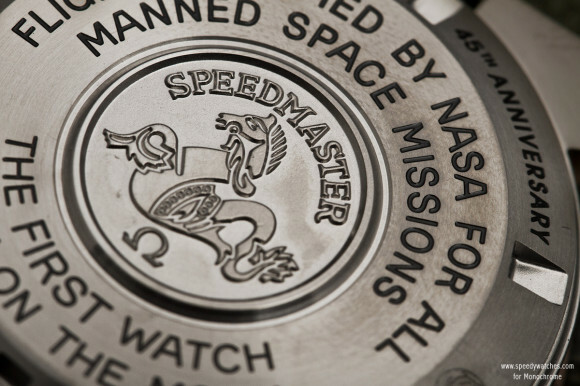 While we have seen many Speedmasters adorned with the famous NASA-patches, their latest offering seemed to outdo them all in grand fashion, sporting a dial in 925 silver engraved with the Apollo XVII patch. BaselWorld 2012 has long passed and we have since had the chance to spend some time with this unusual Speedmaster specimen. A closer look thus seemed in order. Please keep in mind that this is by no means a review, but rather a personal observation. To the best of our knowledge, the Apollo XVII 40th anniversary is the third Speedmaster paying tribute to this final Apollo mission, preceded by the ref. 3574.51 and the Mission Patch ref. 3597.20 (145.0022). 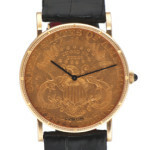 The former was fitted with a standard dial but featured a caseband engraving and special caseback, while the latter lacked the caseband engraving but had a dial which featured a printed version of the Apollo XVII patch in the nine o’clock subdial. So the Apollo XVII patch was nothing new to Omega. 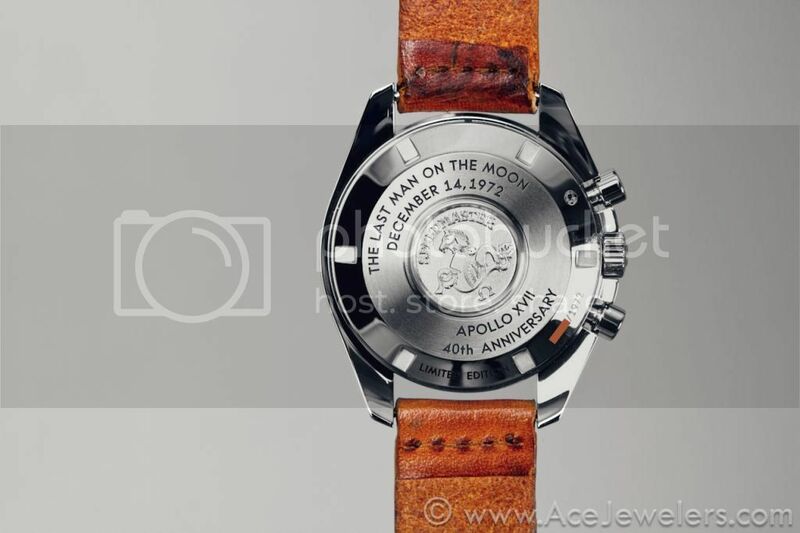 Even an engraved patch was a thing the famous brand used before – on the 2009 Apollo XI 40th anniversary watch, which featured a patch in either silver or gold on the 9 o’clock subdial. 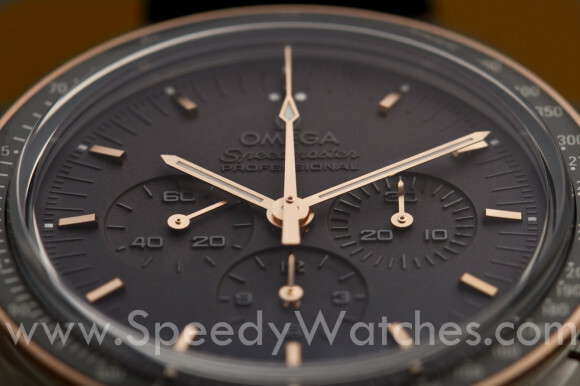 But for the Apollo XVII, Omega decided to shake things up and do things differently. 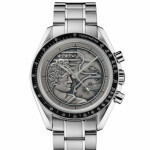 The Apollo XVII is not fitted with the standard black dial, but rather with an example in 925 silver, 100%, fully, COMPLETELY dedicated to the Apollo XVII patch – except for the chapter ring. 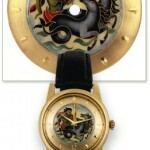 The engraved dial is patina’d by hand, giving the image more depth and life. 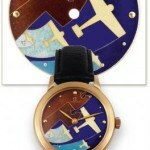 Quite a departure from the original toolwatch concept! The original Apollo XVII patch was designed by the late Robert McCall, a artist renowned for his space-influenced art and work for NASA. It was based on the statue ‘Apollo Belvedere’, which depicts the Greek God Apollo just after shooting an arrow at the serpent Python. 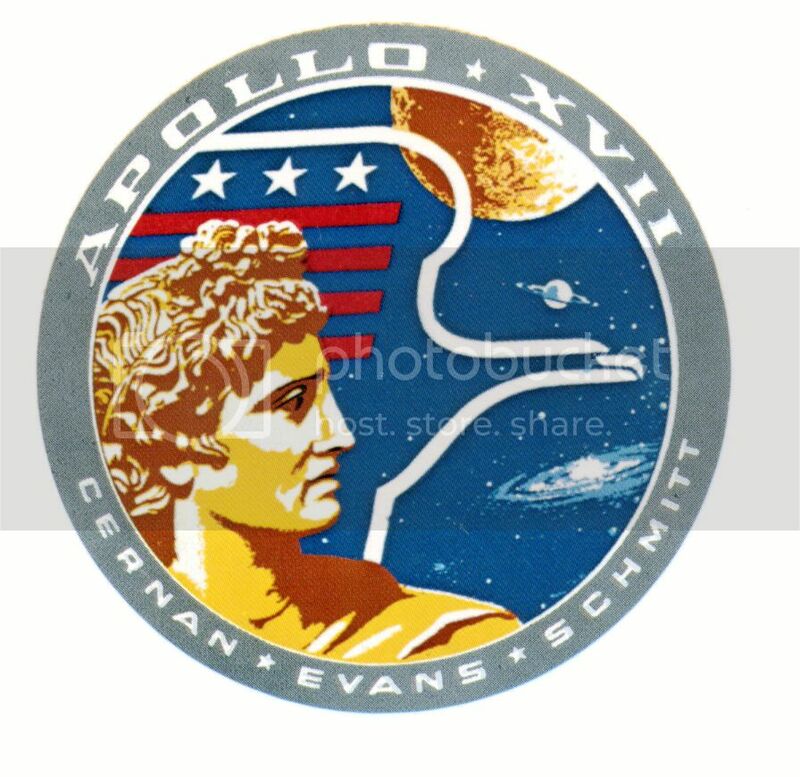 In Mr. McCalls patch, Apollo is pictured in front of stylized image of an Eagle. The eagle is adorned with stripes resembling the American flag, and three stars depicting the crew members. On the background we can see the Moon, Saturn and a galaxy. 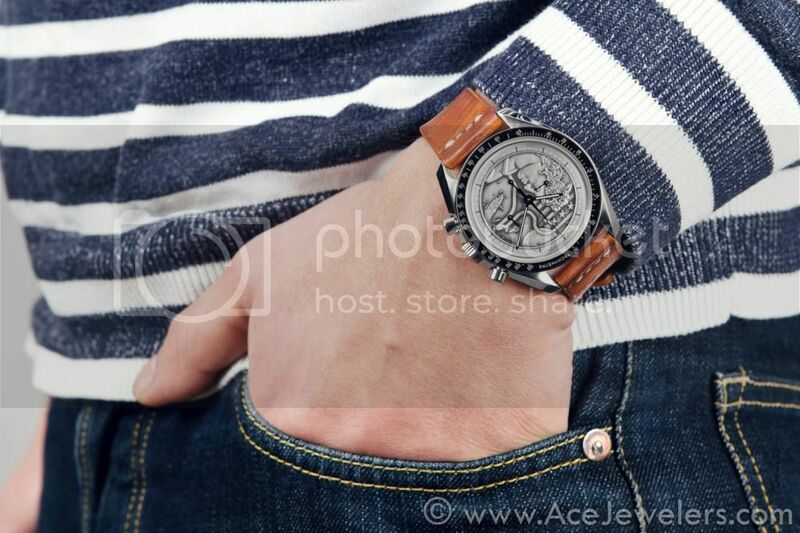 But does something like this ‘work’ on a toolwatch like the Speedy Pro? An icon, a horological classic like very few others? In a strange way, we think it does – even more so in person than it does in pictures. It takes the Speedmaster to another level, it changes the watch from a functional instrument to a piece of art, just like Omega did on the 1994 Armin Strom-skeletonized Speedmaster 145.0063 and, arguably to a lower extend, on the Meteorite dialed 311.30.42.30.99.001. 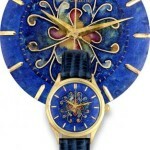 The dial is reminds us, at least in spirit, of the wonderful enamel cloisonné dials from years gone by, of which we see stunning examples pop up and fetch killer prices at auctions every once in a while. Only this time the vivid colors of the enamel are exchanged for the monochrome look of the patina’d silver – and stunning it is! 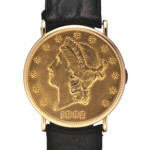 Even more so, it hints of coin watches as made famous by makes such as Corum, Vacheron Constantin and Piaget, often using the Liberty Head Double Eagle. 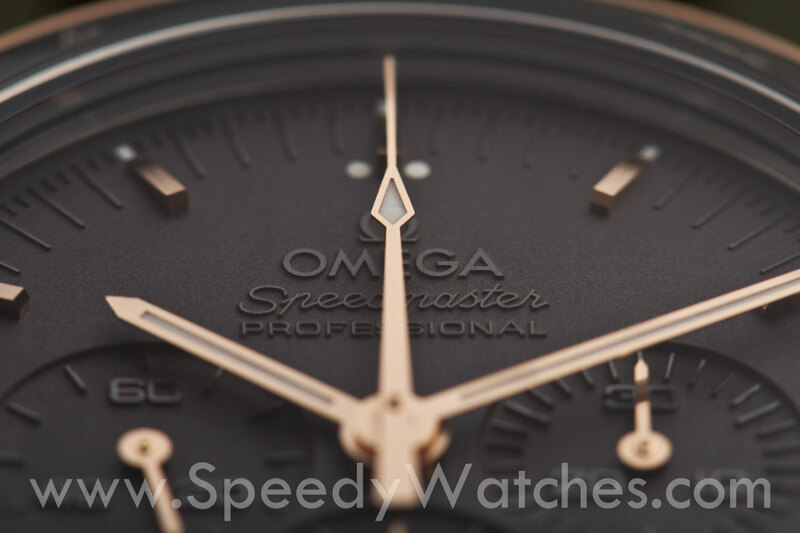 While the combination of this type of dial with the Speedmaster Professional is by no means obvious, it creates a stark contrast that is interesting on many levels – visual, intellectual and horological. Sure, the Speedmaster Professional “Apollo XVII” 40th anniversary is not for the faint of heart. 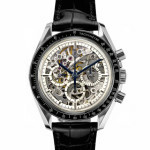 It might send shivers down the spine of purists Speedmaster collectors. But those looking for something different, something thought provoking, something defiant and out-of-the-ordinary: this might just be your watch! 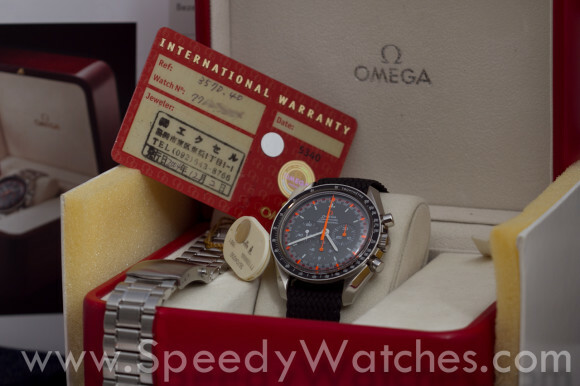 This entry was posted in Review, Speedmaster Professional and tagged 311.30.42.30.99.002, Apollo 17, Limited Edition, Moonwatch on December 5, 2017 by Dale Vito. 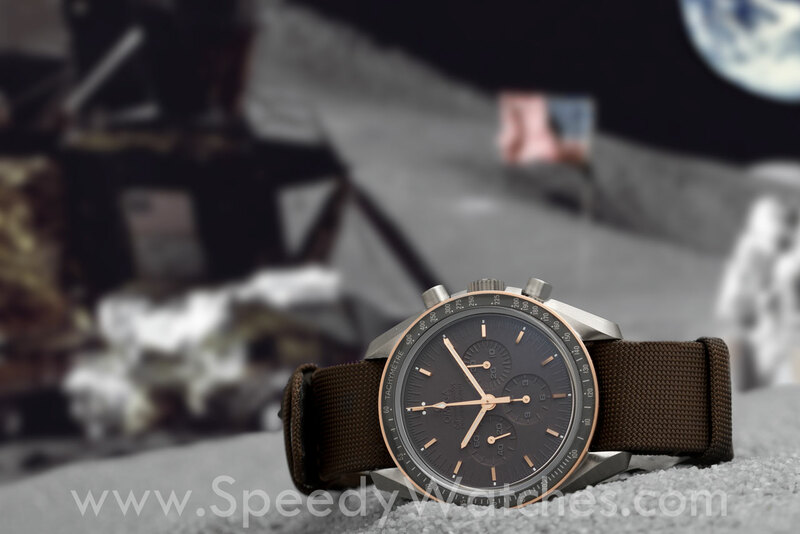 Celebrating the 45th anniversary of the moonlanding, our friends over at Monochrome-Watches.com did a nice write-up on the Speedmaster Apollo 11 45th Anniversary. 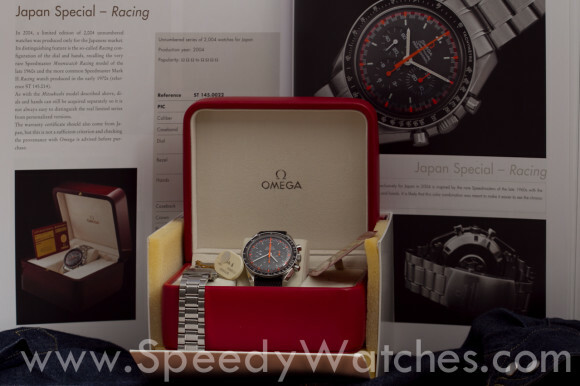 A must-read with pictures supplied by SpeedyWatches.com! “That’s one small step for a man, one giant leap for mankind.” These words from Neil Armstrong still resonate in the heart of everyone on earth, even 45 years after the Apollo 11 team landed on the Moon. 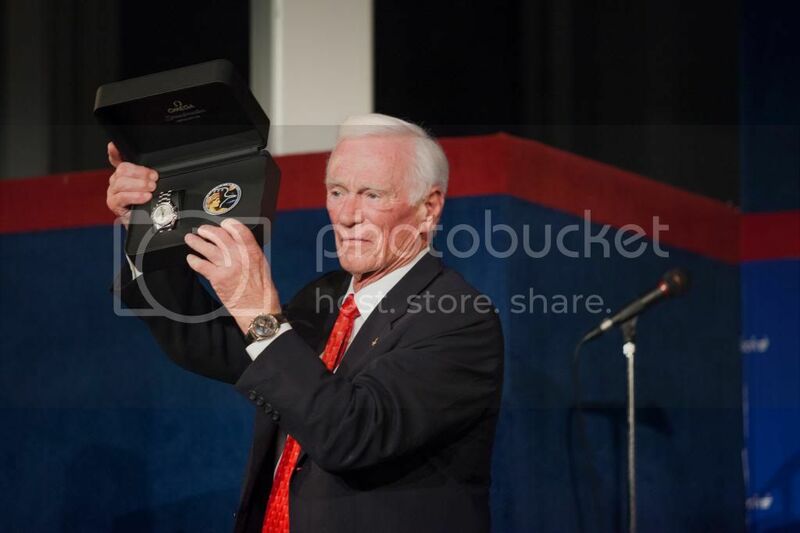 Of course, Armstrong, Aldrin and Collins had tons of the best equipment with them but the one that clearly appeals most to us is the small, rudimentary, basic, old-fashioned mechanical Omega Speedmaster strapped onto each of their wrists. 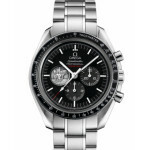 Omega can be proud of this history; and to celebrate the 45th anniversary of Apollo 11, they introduced a new limited edition of the Speedmaster Professional. 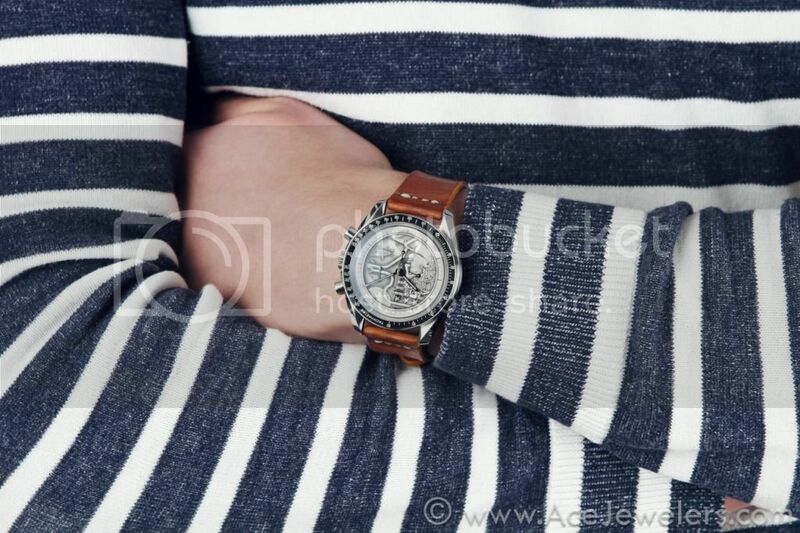 Today’s photos, made by our friends at SpeedyWatches, makes a perfect way to celebrate this monumental milestone in men’s history. 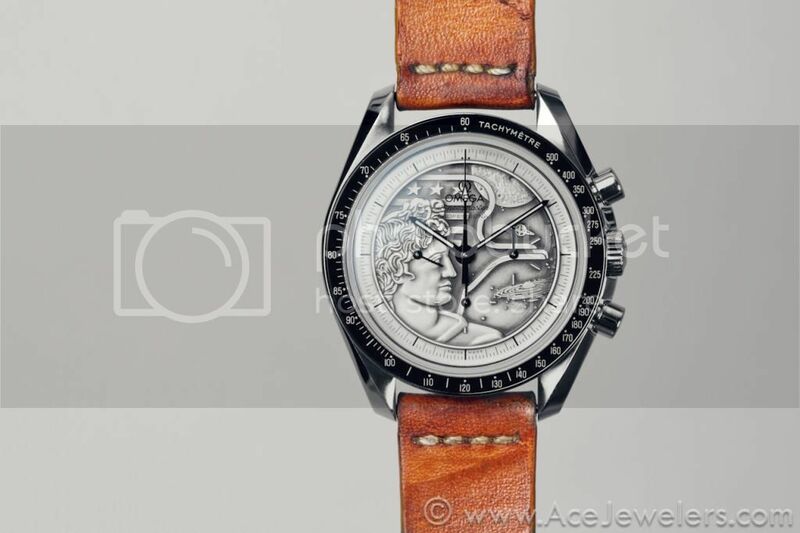 This entry was posted in Editorial, Speedmaster Professional and tagged 311.62.42.30.06.001, Apollo 11, Limited Edition on July 20, 2014 by Dale Vito. Our friends over at Ace Jewelers recently took delivery of their first Omega Speedmaster Professional Apollo 11 45th Anniversary reference 311.62.42.30.06.001, which gave us the opportunity to take a few up-close pictures of this BaselWorld 2014 release. Omega really went all-out on this Speedmaster. Aside from the movement and the crystal, every single part is unique. 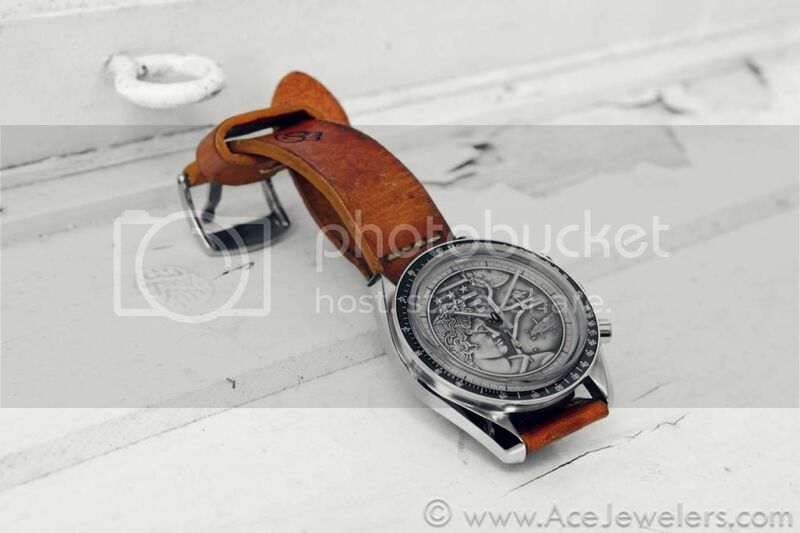 The case, the caseback, the dial, hands and strap all are 100% unique to this reference. While titanium and Sedna gold might not be the obvious choices for a Speedmaster Professional, the combination works surprisingly well. 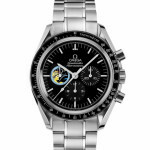 The dial of the Apollo 11 45th Anniversary is equally surprising. Completely matte grey except the lume and applied hour indexes, the contrast on the printed details comes in the form of difference in height. The dial is laser cut – material is removed around the higher parts to create the contrast in height. 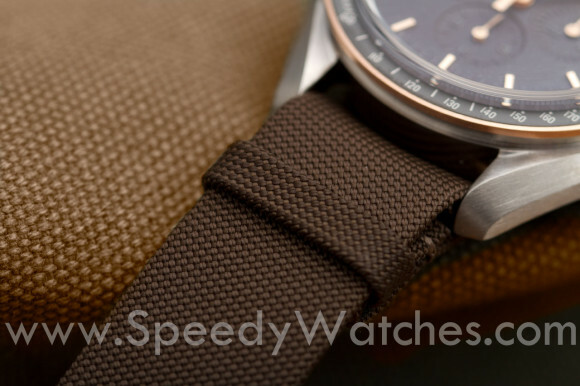 As noted so often before, this Speedy Pro is -a first- fitted with a NATO strap in brown – a subtle nod to the collectors community who have often expressed a deep love for this type of strap. To enjoy breath to the fullest it is great to be healthy. How can remedies help up? Purchasing medications online can be a cost efficient idea, as long as you do it responsibly. DIFLUCAN, most popular of a new group of triazole antifungal agents, is existing as a powder for oral suspension. Certainly it isn’t all. If you’re concerned about sexual dysfunction, you probably know about viagra alternative and otc viagra. What do you know about viagra alternatives? Other question we have to is over the counter viagra alternative. A accepted form of sexual dysfunction among men is the erectile malfunction. Once kidney disease will lead to erectile dysfunction. Prescription remedies can save lives, but they can also come with dangerous side effects. It’s essential to remember that not all medicaments are healthy. Do not give Cialis or any remedy to anyone under 18 years old without prescription. 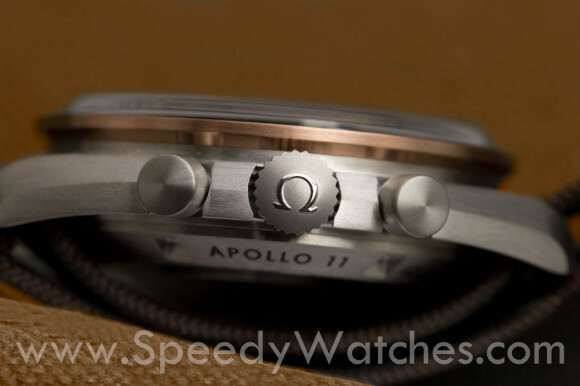 This entry was posted in Report, Speedmaster Professional and tagged 311.62.42.30.06.001, Apollo 11, Limited Edition on July 15, 2014 by Dale Vito. 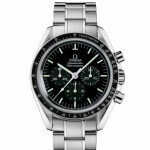 New additions to our Special Editions Reference page: Speedmaster Professional Moonphase Aventurine, Modern Racing ‘TinTin’ and Apollo XVII Anniversary. Full gallery available right here. This entry was posted in Editorial, Speedmaster Professional and tagged Limited Edition on July 6, 2013 by Dale Vito.